Healthcare industry is all about ensuring maximum satisfaction and convenience to patients. According to the latest Cisco survey, 70% of patients feel delighted when doctors specifically address their queries over the telephone. Regular feedback from patients regarding how they feel after getting the treatment from a particular hospital is also a good way to keep rapport and as well know the areas where the hospital needs to work harder. 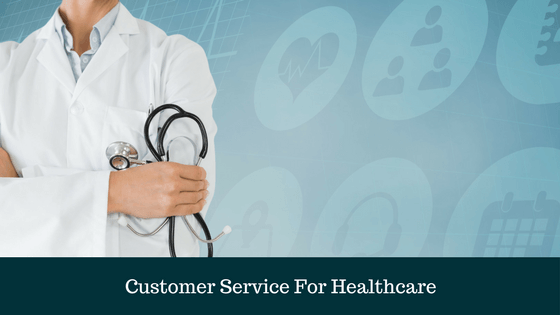 It is essential for the healthcare sector to rejuvenate its customer support service. No doubt, a team of qualified customer support executives not only acts as a bridge between the patients and the hospitals but also enhances the efficacy of the treatment while coordinating the same. Previously, competitions were very low. Nowadays, hospitals are being opened everywhere. On an estimate, each region now has two to three hospitals or even more across every country. This makes it more difficult for the hospitals to keep a tab on their patients. Therefore, customer service department of a hospital has to walk an extra mile to win the faith of the patients. Always respect your patient. A good behavior at the reception or over a telephone from a customer care executive instantly touches the heart of the patients. Tackling patients not only means keeping a close watch on their bills and documents only but it only means that the customer care staff should be able to resolve the patient’s doubt clearly. A new Survey claims that 60% of the patients want their queries or diseases to be checked by specialists than a general physician. Now, it becomes crucial for a reception desk to convince the patients about his future treatment. A patient to the hospital is what guest to a hotel. Directly or indirectly, they are the customers of the healthcare sector. It is important to clear any doubt that the patient has regarding the treatment. If they have any confusion, then the support team should resolve the same without indulging in any unnecessary argument with the patients. Healthcare sector is all about patients. Their belief and faith will multiply the number of future patients in your hospital. So, it is imperative for the customer service team to thanks each patient from time to time to make them feel special. Patients and their relatives might be anxious or in a distress. So, it is not good for any hospital staff to use hi-fi words during any conversation with them. Whenever you have to explain something to patients, please do it in simple and easy terms. Pleasant manners win the faith of the customers or patients instantly. A customer service team has to exude its excellent manners on and off. Proper eye contact, listening with care and personally handling patient’s queries are good examples of decent manners. According to another survey around 20% of Americans live in rural areas where they don’t get the good medical facility. Any hospital opening its branch, there will be definitely at a vantage point. The customer service team should maintain a close rapport with every patient. Once a satisfied patient goes home after getting cured in quick time, then definitely it creates a favorable image in the mind of the patients. Now, the support team needs to maintain good rapport with them for future. Around two-third of health care professionals consider virtual care as a top priority. It is a personal responsibility of the customer service team to ensure the cleanliness of the reception office. Also, the sweepers and cleaners should be asked the spray disinfected liquid all over the hospital, including a reception desk for hygiene and sanitation. These things create a good image of the hospital in its first instance when patient visits. It builds trust and confidence of the patients as well. All great customer-support executives can perform well only when supervisors provide them adequately and quality training. So, a hospital or healthcare sector should try everything possible to motivate the staffs handling the customer support division. A recent survey says that 44% of consumers want their ECG to be checked at home using the advanced device. This demand is growing day by day. Now, it is important for the customer support team to convince the patient to come to the hospital and get the same checked. The 2016 survey on healthcare analysis reveals that around 40% of patients believe more in bigger healthcare brands than others. Obviously, in a hyper-competitive sector such as healthcare industry, your every step will be monitored. Patients want immediate attention from hospital staffs. So, responsiveness is definitely a key if a health care center wishes to win against its competitors. Being responsiveness means attending to their queries instantly and as well as supplying the necessary medicines and tablets straight to the house of the patients if they need the same urgently. Honestly, a bad behavior from surgeon and physician can seriously piss off any patient. That’s why considering the rampant competitions in this field, the hospital administration must train its doctors in such an effective way that they should try to behave well with patients round the clock. Good behavior from doctor acts as a morale booster to the patients. Obviously, on returning from the hospital what patients first remember is the behavior of the doctors. So, all physicians and surgeons at a hospital must behave courteously and in a mellifluent manner. The primary reason why most patients prefer the great hospital and medical center is easy availability of medicines and other support services. These big hospitals have departments dealing with medicines, medical equipment, expert doctors of different branches, modern lab access, and much more. Thus, patients can get all their necessary things and treatment under one roof instantly. It’s high time; all medical centers should start following the same trend. ​why is customer service important in healthcare organizations? The recent statistics on patient’s preference has revealed that 80% of patients want to explore newer ways of treatment. Also, what they value most amongst other things are the comfort level and outstanding customer service and support. Obviously, patients are ever ready to spend a lot of money just to get plenty of good medical care and services in return. Providing ambulance facility to serious and critical patients 24x7x365 is also extremely important. All hospitals have to ensure that they hire qualified and experienced ambulance drivers to bring the patients directly to the hospital from their homes for further treatment. Patients are likely to open up more to support staff who behaves well and converses with them slowly and in a courteous manner. No patient likes to stay in a hospital for very long. However, what they want is good and outstanding medical treatment and customer support services throughout their stay. So, hospital staffs should try to win the faith of their patients by offering excellent services round the clock. New statistics say that 33% of patients and their relatives are likely to buy medicines from Amazon or Google then going to shops or hospital for the same. If a customer care executive continues good behavior with patients, then they might purchase these medicines and drugs from the hospital itself adding another revenue generation option for the hospital. Resolving patient’s complaints, concerns, and imbibes a whiff of confidence in patient’s minds. If a customer or patient has pointed out any error on part of the reception desk, then without further arguments, the customer service manager should own up the same. Take the patient’s side and see how empathy will pacify him or her instantly. It is not a defeat but the best demonstration of professional ethics on the work front. Last but not the least, healthcare sector means dealing with human lives. Here, money can’t be a sole ingredient. Therefore, all staffs will have to feel engaged with the jobs, and every employee must treat all patients to the best of their abilities and caliber. Eventually, it is the service motive that wins. Wehave in-depth knowledge and experience in the field of marketing,business process management, information technology and analytics. 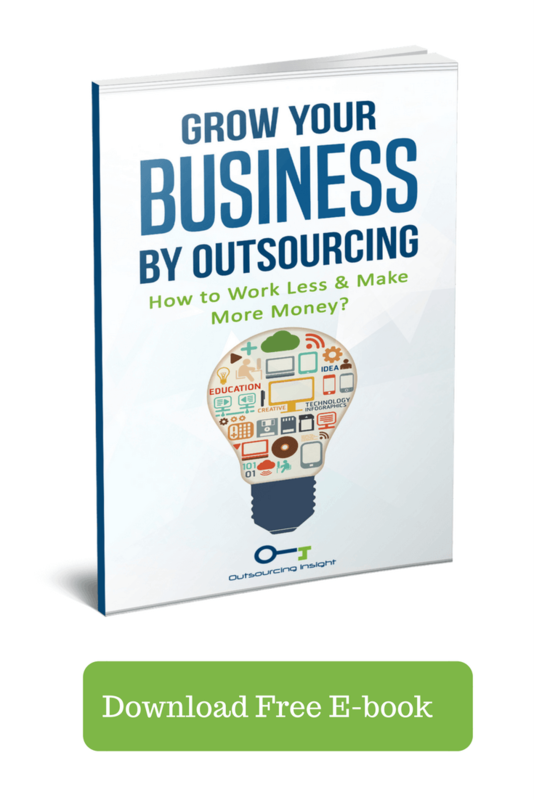 Readmore on https://www.outsourcinginsight.com/ or follow us on our Google Plus. If you are looking for ​Revenue Cycle Management Services Click Here To Read.